Welcome To Our Campfire Tin Sign | BUDK.com - Knives & Swords At The Lowest Prices! 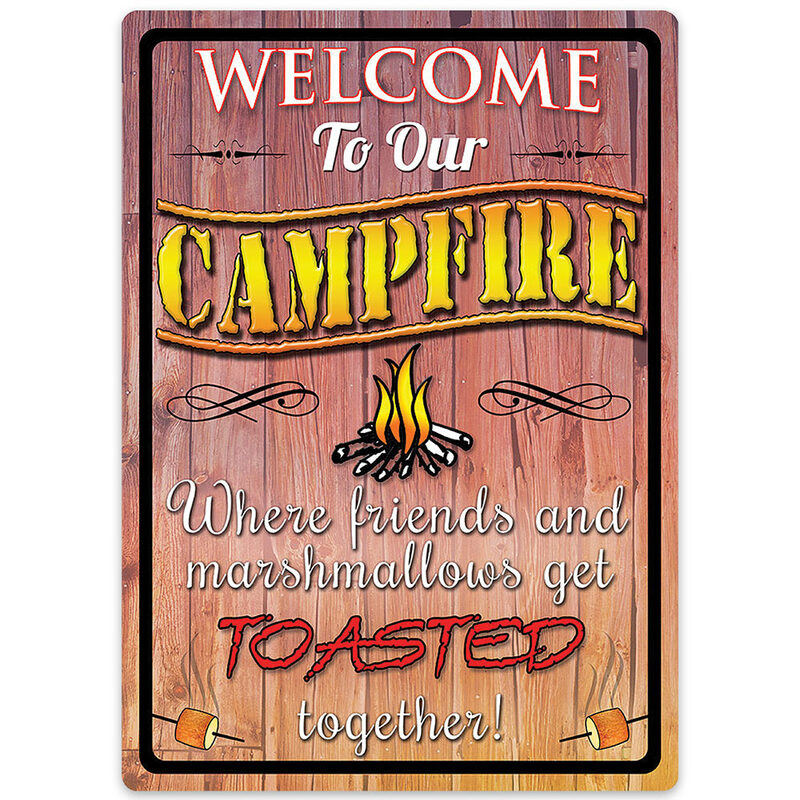 Add a little classic charm to your home or property with this high quality decorative tin sign. It features rolled edges, an embossed design and a durable weatherproof finish. It is manufactured with a durable four color process that will stand up to all weather conditions and retain its vibrancy. The artwork is a licensed piece by a talented artist. The sign includes pre-punched corner holes for mounting.